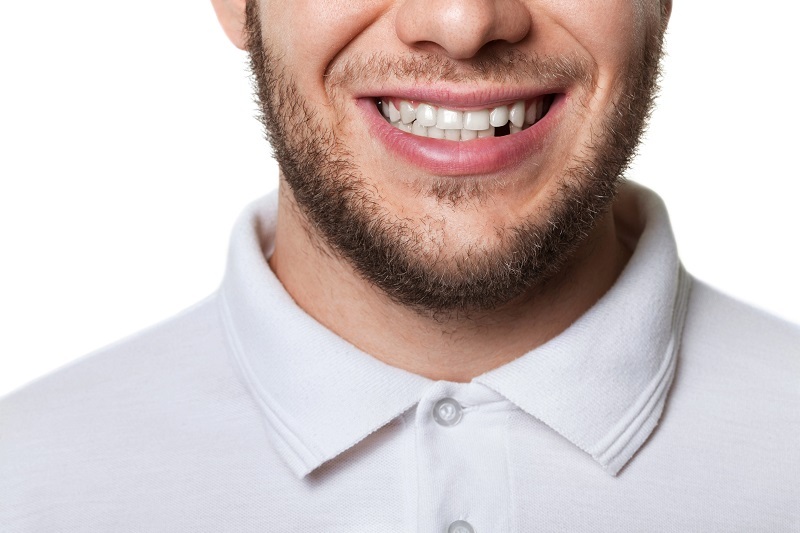 You are here: Home / Blog / Uncategorized / What Happens if You Do Not Replace Your Tooth? What Happens if You Do Not Replace Your Tooth? There are some people (but admittedly, not many) who think that a missing tooth is nothing to worry about. You have other teeth after all – beyond the obvious cosmetic issue, a single missing tooth usually should not bother people too much. Unfortunately, a missing tooth does have a significant impact on your life. In the UK, over 27 million adults are missing at least one tooth. On average, many are missing at least four, with the majority of them in the older age group of 65 years and above. The primary cause for tooth loss is periodontitis, though accidental tooth loss is common too. For many people, a missing tooth can greatly affect their self-esteem. They are more likely to avoid social situations. Others report that missing teeth have actually stopped them from finding a job or finding love. One study shows that about 3% of people report feelings of depression because of missing teeth, with 15% of them saying that it makes them feel self-conscious. Since your teeth are so central to your appearance, missing teeth can adversely affect how you carry yourself during your day-to-day life. Another big problem is bone loss, which is also called bone resorption. During bone resorption, the area where the tooth used to be, starts to shrink and become thinner — this is because there is no tooth to signal to the body that the area is in need of calcium. One of the reasons why bone loss is a problem is that it affects your other teeth as well. Reduced bone mass could affect the healthy teeth around you, leading to even more tooth loss. Missing teeth can also affect your ability to eat varied food. This is especially true if you are missing one of the molars, whose primary function is to help you chew your food. Nutritionally dense food such as fruit and vegetables are often quite fibrous — you need your teeth to be able to chew them properly. Since chewing is a difficulty if you have missing teeth, you may end up eating less of these healthy, nutritious foods. Missing teeth may also reduce your ability to speak clearly. Your teeth play a crucial role in being able to enunciate certain sounds. The letters ‘T’, ‘S’, and ‘V’ are just some of the letters that require the use of teeth to be able to pronounce them. This is one of the main reasons why people who are not wearing their dentures have a difficult time speaking clearly. Missing teeth, undoubtedly have a major effect on our lives — It is why we encourage people to get dental implants and to visit our Bath practice. An implant is currently the closest thing to having a real tooth and is a viable alternative to dentures. If you want to learn more about dental implants, contact Widcombe Dental Practice today and set your appointment. https://widcombedentalpractice.co.uk/wp-content/uploads/2017/07/shutterstock_272073041.jpg 533 800 Dominate Dental https://widcombedentalpractice.co.uk/wp-content/uploads/2017/05/widcombe-dental-logo.jpg Dominate Dental2017-07-07 20:02:372018-07-25 15:00:03What Happens if You Do Not Replace Your Tooth?